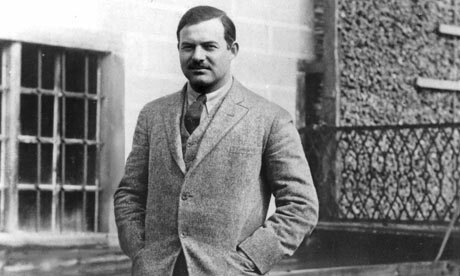 Hemingway began as a journalist. A newspaper reporter. A correspondent. Now, if you’re looking for an obvious crossover point between those reporting skills and his career in fiction, I’d suggest “Che Ti Dice La Patria?” as an excellent example. He paints a fascinating – and scathing – picture of Mussolini’s pre-war Italy. It’s a historically invaluable picture, too. You can learn about 20th century European politics in textbooks all day long, but something like this really brings the situation to life. Really, the story is a pointed political editorial with a plot. And that’s quite a trick on Hemingway’s part. In a village, twenty kilometers above Spezia, there was a crowd in the square, and a young man carrying a suitcase came up to the car and asked us to take him in to Spezia. “There are only two places, and they are occupied,” I said. We had an old Ford coupé. “Should we take him?” I asked Guy. “He seems to be going anyway,” Guy said. The young man handed in a parcel through the window. “Look after this,” he said. Two men tied his suitcase on the back of the car, above our suitcases. He shook hands with every one, explained that to a Fascist and a man as used to traveling as himself there was no discomfort, and climbed up on the running-board on the left-hand side of the car, holding on inside, his right arm through the open window. “You can start,” he said. The crowd waved. He waved with his free hand. “What did he say?” Guy asked me. “Isn’t he nice?” Guy said.